In an environment where development aid and grant based funding models are changing, social initiatives are struggling to seek out resources to sustain their work. Presently, competition for resources is fierce and donors increasingly only fund select activities-based projects without support for staff and infrastructure costs. Given this funding climate, alternative options open to social initiatives include the social enterprise and social business models, but these have their own challenges. Asia Centre is a not-for-profit organisation based in Bangkok, Thailand that employs a mixed financial model – which includes philanthropy, grants, self-funding and revenue generation- to resource its activities to create human rights impact in the region. Founded in July 2015, Asia Centre began its start-up operations through an initial endowment to secure its premises, fittings and equipment, and a two-year operational fund. Thereafter, the Centre finances its programmes through a mix of revenue generating and fundraising activities. In 2018, the Asia Centre announced the establishment of a second branch in Johor Bahru, Malaysia. 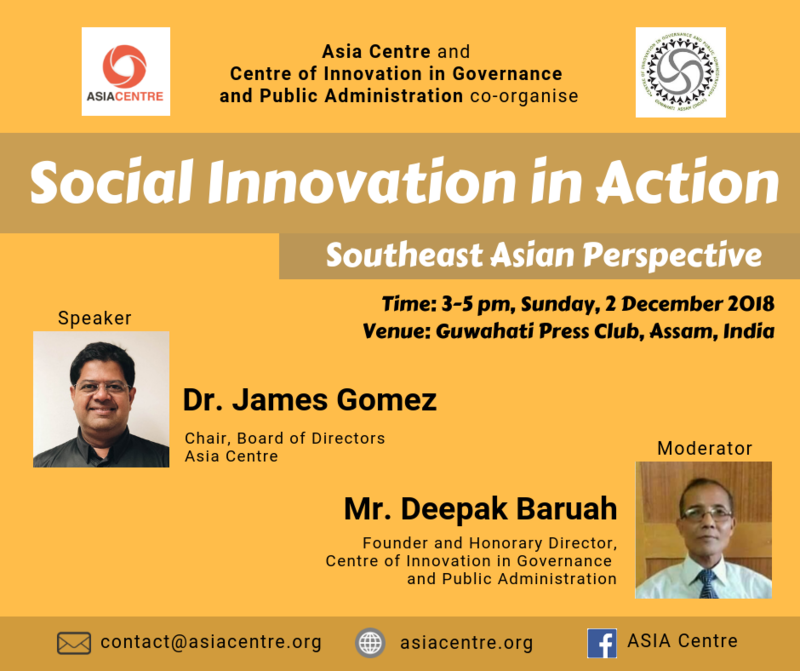 This presentation on the Asia Centre is a case study on social innovation. It provides some practical insights into the changing world of social initiatives and the challenges of funding sustainable activities aimed to create human rights impact. guided successfully more than 10 (Ten) MPA dissertations. In addition, he conducted a number of researches, trainings, lectures, and seminars across Asia and beyond.